In the late Fall and Winter, we get flood irrigation only once per month. Last time we received it, it rained, this time too, the streets were wet and the yard flooded really well. 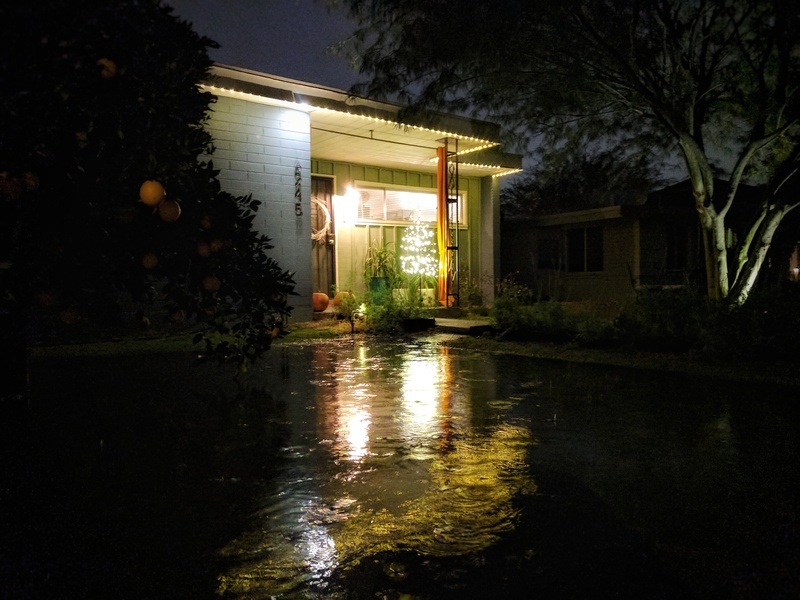 It came in the late evening and I got a chance to take a photo as the rain sprinkled onto the flooded front yard. The next day all the plants were really happy. Night photos with the Google Pixel phone. Not too bad. Previous Post Outlier Rolltops Next Post And then there is compassion.